Can we make a living dealing in Thoroughbreds? Maybe don’t give up your day job quite yet. We are still in a developmental stage of creating demand, awareness of their qualities as sport horses, and increasing our horsemanship skills in selecting and training them. Although the supply outweighs the demand, the lack of dealers makes the evaluation process challenging. Choose a purchase source you are comfortable with based on the risk factors. Does the Horse Have the Right Stuff? You will want to purchase a TB that offers the best qualities for the elected discipline. Talk with trainer and exercise jock for information that relates to temperament, etc. If possible, ride or watch under saddle to evaluate temperament, and at the very least, you will want to jump something; from poles on the ground to a small cross rail. Should You Flip or Train? 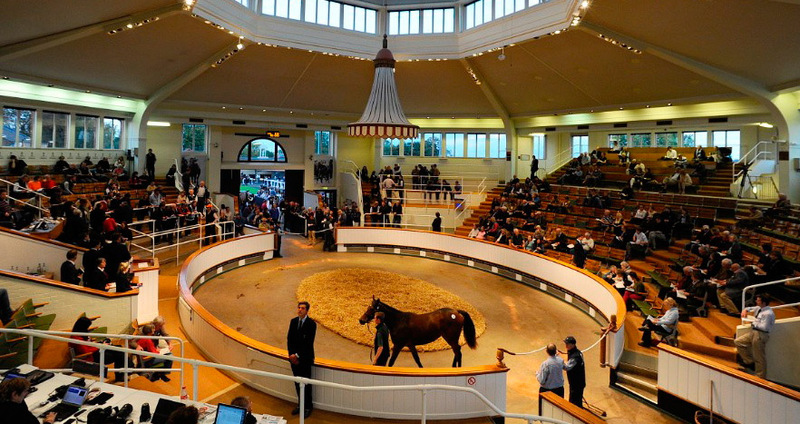 This decision really depends on your facilities, staff’s knowledge and talent to train, monthly costs and where you see the potential of the horse and value in the marketplace. 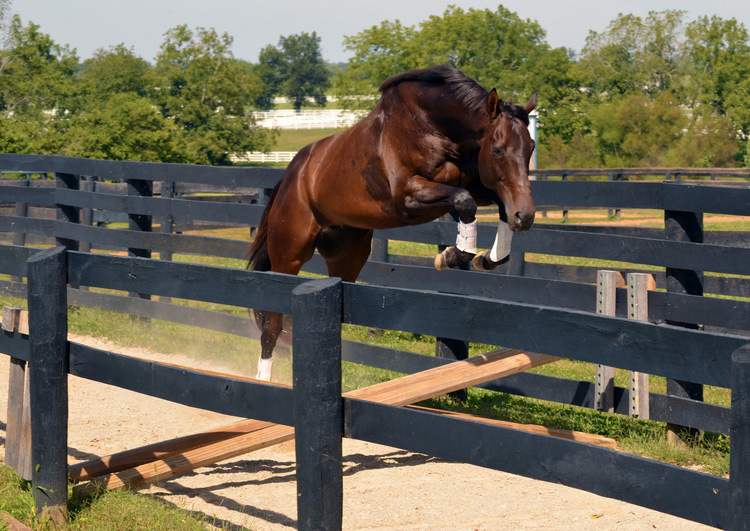 Facilities should consider having a place to free jump and a dedicated free jumping chute is recommended. This is for the person who wants to sell immediately for a smaller profit. This is the best option if you have the opportunity to sell to a good private individual or other dealers who wish to train the horse further for larger profit. To help with the review process of the prospect to potential buyers, a jumping chute is advisable or safe area to free jump. Do you have the proper facilities? Do you have the knowledge and ability to train a Thoroughbred well? Have a way out. If you’ve made a mistake or the horse just isn’t going to cut it, get out. Costs are too high today to keep a bad one. Utilize neighboring facilities to school over new jumps, rather than at horse shows, in order to minimize costs. 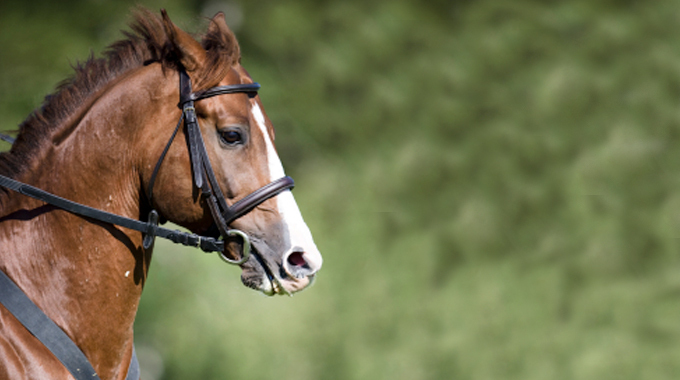 Ideally, use a vet familiar with racehorses for both purchases and sales if possible. There are more and more people purchasing directly over the internet today and your presentation is important. Develop a sales website offering your horses, plus all the success stories of your sales. 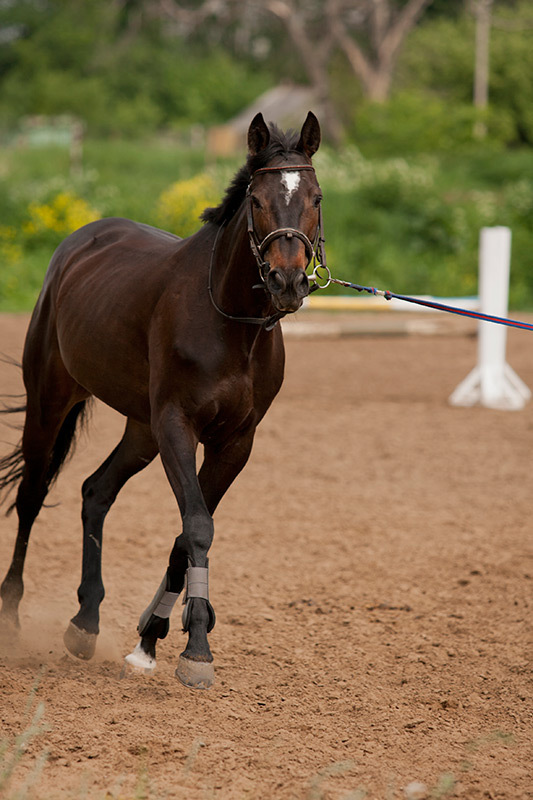 Develop camera and editing skills and present great videos of your horse. 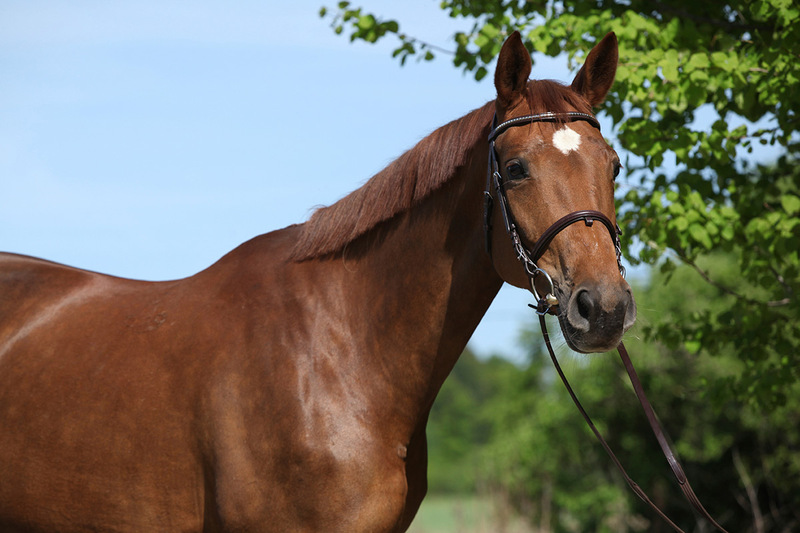 Short in length, but showing all gaits, jumping and with quality video. You can sometimes find students at a local college media department that can help with this at a low cost. Utilize other sales websites and social media to promote your prospects. It’s been over three decades since the decline of the Thoroughbred en masse in the sport, so our skills in selecting, training, evaluating conformation, and breeding have also declined. The dwindling number of Thoroughbreds in the sport today is not due to the failing of the Thoroughbred, but in part our lack of producing Horsemen with the ability and desire to discover and produce them. Some of these books are out of print, but well worth it if you can find them used. You can usually find them used on Amazon, ebay or AbeBooks. Libraries are also a good resource to find them. 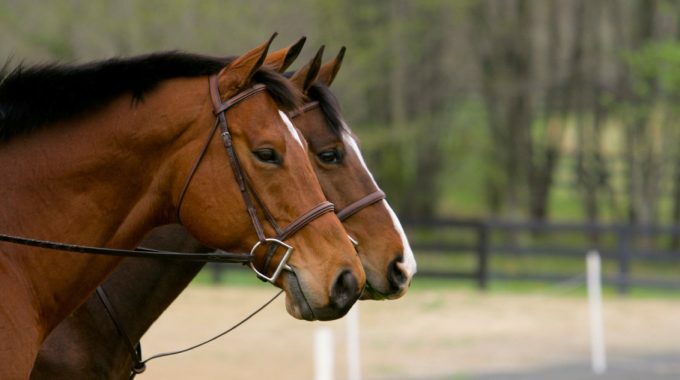 The RRP (Retired Racehorse Project) is an effort to increase demand for retired Thoroughbred racehorses as pleasure and sport horses through public events, clinics, training publications, videos and internet tools. 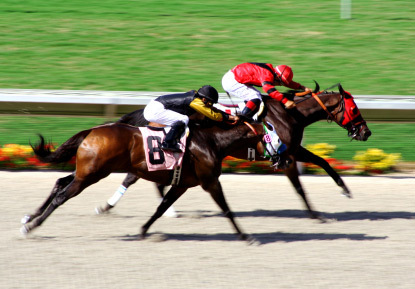 Their mission is to facilitate the placement of retired Thoroughbred racehorses in second careers by educating the public about the history, distinctive characteristics, versatility of use, and appropriate care and training of the iconic American Thoroughbred. 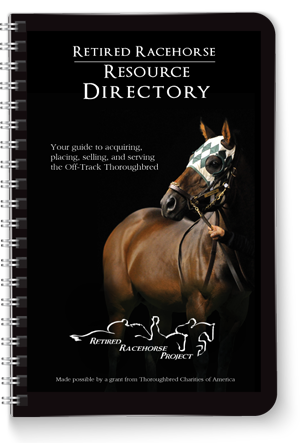 Their directory provides a list of organizations, facilities, dealers and trainers in each state that work exclusively with OTTBs. A facility that serves as a roll model for all nonprofit placement organizations is the Maker’s Mark Secretariat Center (MMSC). It is located in the Kentucky Horse Park in Lexington, Kentucky, the Horse Capital of the World, and is a premier reschooling facility and showcase for adoptable Thoroughbreds. Founded in 2004, the MMSC uses its illustrious location to herald the athleticism of this amazing breed by teaching new skill sets to horses of all levels of ability using the Horse Centered Reschooling Program developed by MMSC Director Susanna Thomas so they can go on and be ambassadors for racehorses in new careers. Horses can be evaluated in hand, free jumping, under saddle, and have been worked with extensively to determine their individual temperament and aptitude. 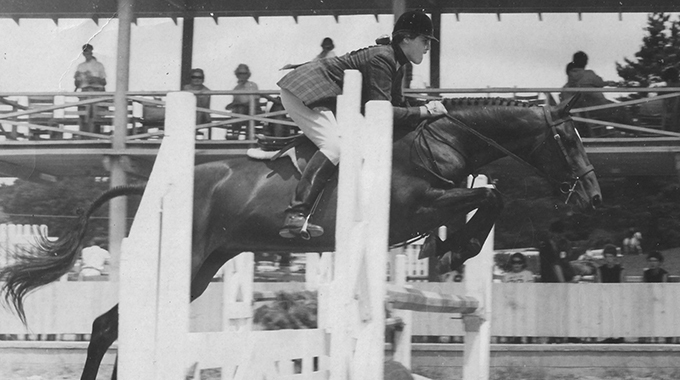 Marianne Taylor shares the story of the Thoroughbred mare Magic Heart (aka Balalaika). 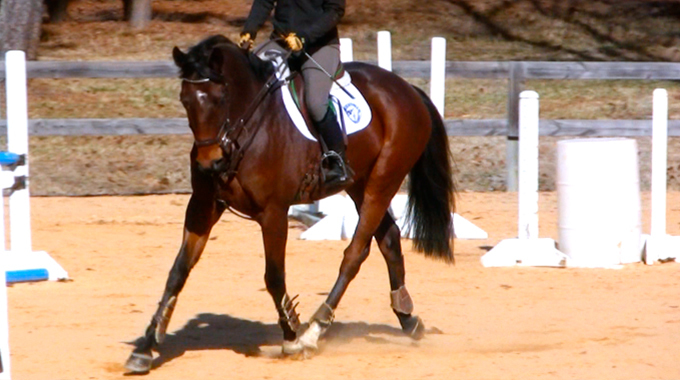 Advice to help a 4-year old Thoroughbred who speeds up and rushes through the corners at the canter on the flat. I have a 7 year old OTTB. I bought him to use for my dabbles in the eventing world. “Sochi” won just over $500 in 8 starts. Being dead last every time he raced, his earnings came from his position of fourth in a four horse race. Such underwhelming ambition and drive has meant that he is perfect for attending low level clinics and trail riding. He is my ballet-dancing sisters mount, when she comes to visit. Due to a racing injury, he will never be higher level anything, but he is perfect for my needs. 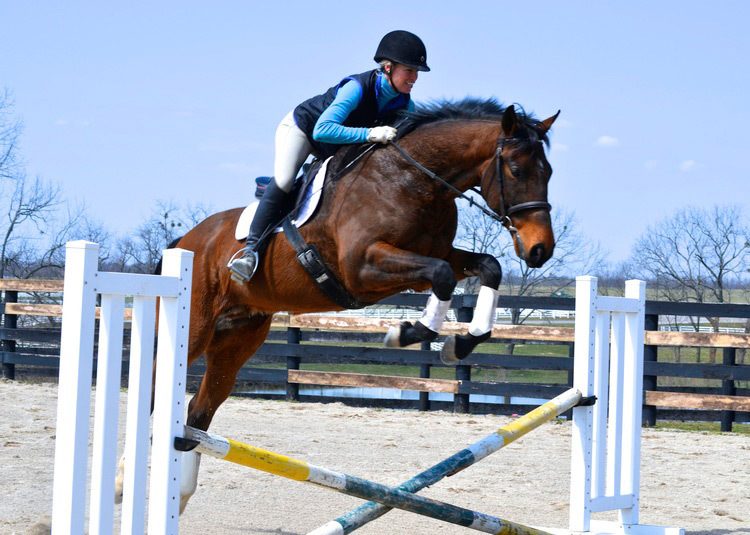 Such a great OTTB story MaryAnn! Thanks for sharing it with us.